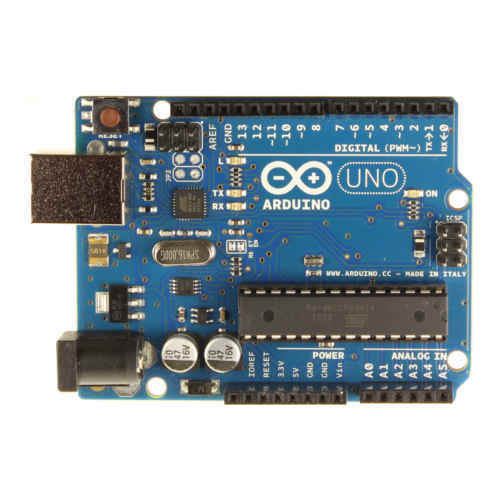 Arduino UNO is an open-source physical computing platform based on a simple i/o board and a development environment that implements the Processing/Wiring language. The open-source IDE can be downloaded on The Arduino Homepage. UNO is the enhanced release of NG/Duemilanova version, with autoreset function (from Arduino0009 IDE), extended power connector, built in led, USB overcurrent protection and more memory. This original board is produced in Europe and comes fully assembled and tested with ATMega328 pre-loaded with bootloader. In stock! We are currently shipping latest version UNO Revision 3 (R3). This version has some 'issues' with driver recognition under Windows 7 and 8. We have tested a working solution, so when you come accross an isue, please email us! 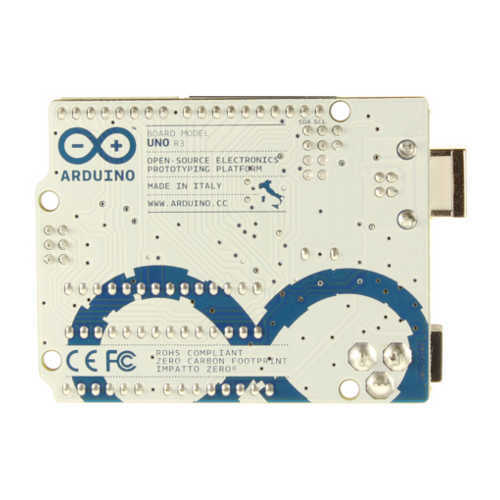 Description: This shield fits directly on an Arduino UNO or UNO compatible system. The 8x8 RGB .. Description: The L12-R series of linear servos operate as a direct replacement for standard rot..